Recently Converse and Eastbay put on their annual high school basketball showcase. One of my favorite parts of the event is the recap video that STACK puts together. During the first few seconds of this years video was a shot of a mystery Converse Basketball shoe. It doesn't appear to feature Converse Balls Technology, however it does appear to have too much detail and retooling of a the midsole to simply be a lower tier release. Perhaps if features the CBT sock-liner the popular Star Player EVO has, or maybe there is a whole new foam based cushioning technology in the heel. Anyway, I got the first screen shot from STACK and then I played around and edited the last four to give you an idea of what it might look like it some other colorways. In the 2nd shot you get an idea of what a Orlando Magic colorway might be followed by a Boston Celtic colorway that Luke Harangody could wear. Something you can see better on the last two pictures is that pattern used on the upper. Holy hell that is a good looking shoe! It's a shame no COLLEGE TEAM going to wear them. Yet UA is taking is some teams from NIKE. 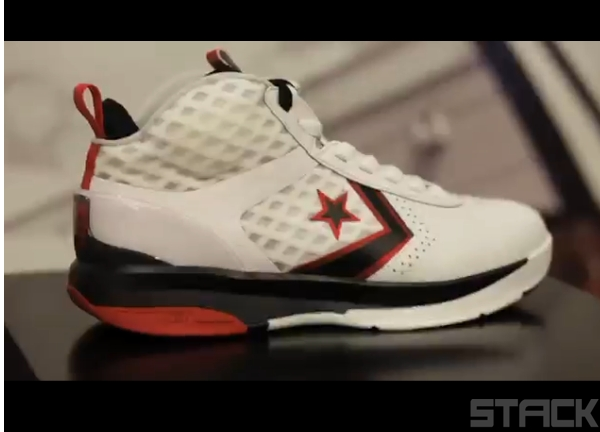 Sweet shoes , It's a shame Nike don't care if Converse Basketball suceeds or not ! 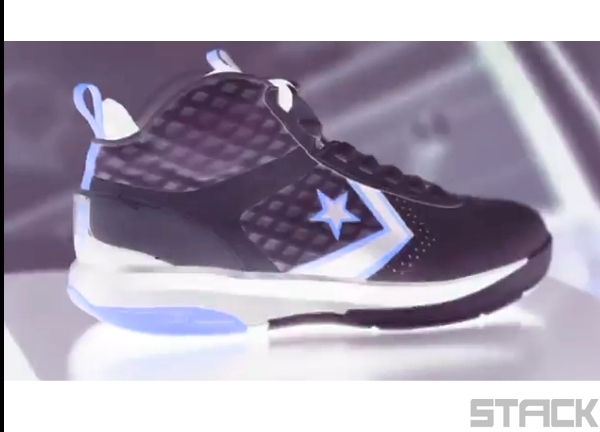 I'm trying not to get my hopes up, but I have a good feeling about Converse in the NCAA next year. It's small I know, but at least Nike is including Converse in things like the World Basketball Festival, Black History Month Pack, and Tinker is working on a secret Converse shoe. Things aren't perfect, but I feel much better about Converse then I did when Nike moved Wade to Jordan.